You are currently browsing the tag archive for the ‘cheerful flowers’ tag. Yay! So excited to see these cheerful faces again! Now that the Thunbergia is starting to vine out, hopefully flowers will soon follow. I’ve got two different kinds in the pot – the Black-eyed Susan variety, as well as one that’s labeled as Spanish Eyes, which look very colorful. Thunbergia is one of my favorite flowers. I love how easily and enthusiastically they grow. 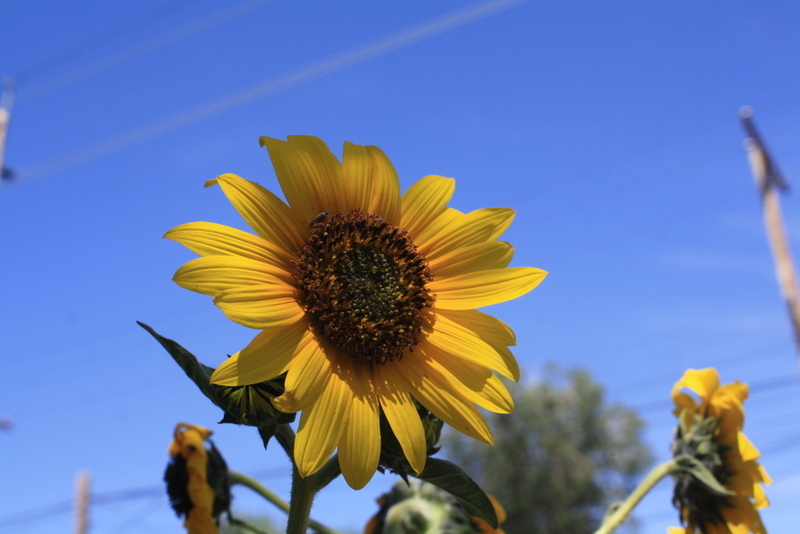 Is it early for sunflowers to be blooming? It seems early. But not surprising, I guess, with all the rain this ol’ desert has been getting lately.